Owl City is an American synthpop musical project by Adam Young. 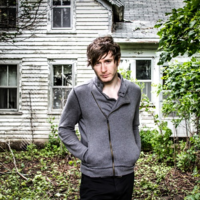 Owl City was born from Young's musical experiments in his parents' basement in Owatonna, Minnesota. As Owl City, Young developed a following through MySpace before signing with Universal Republic. Young claims that his influences are disco and European electronic music. His music has also been compared to The Postal Service. After two independent albums, Owl City gained mainstream popularity with the 2009 major label debut album Ocean Eyes, which spawned the hit single "Fireflies".